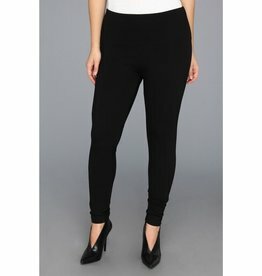 These Ponte Leggings have a center seam detail down the front, and the signature tummy control to slim, smooth, and shape. They feel great on and are easy to dress up or down - they go everywhere you do! The signature cotton denim legging is the perfect blend of comfort and style. The tight ankle leggings fit and flatter comfortably with a hi-waist and unique tailoring. Ankle length. Washable.